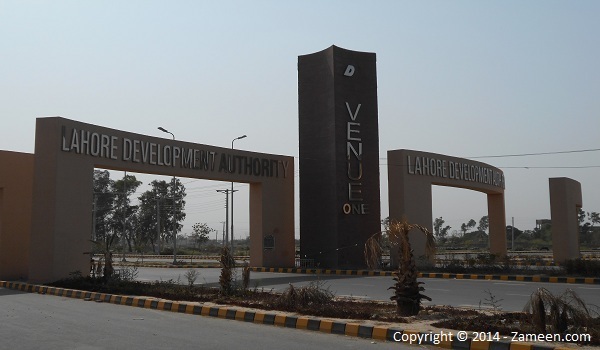 Lahore Development Authority (LDA) is moving closer to addressing the issues of the affectees of LDA Avenue I. Even as the LDA takes the necessary measures to address the matter with the right course of action, the authority has also proceeded with compensating the property owners whose plots were stuck in litigation by offering them fully developed alternative plots with possession. LDA Avenue I was launched in 2003 and because it was an LDA project, the investors and property buyers were quite keen to invest in it. Unfortunately, though, because of litigation issues followed by a long prosecution period, some of the investors in this project had to wait for several years to get returns on their investment. Zameen.com has been extensively covering developments on LDA Avenue I to keep its readers updated, and you check it here. On Wednesday January 28, 2015, a ceremony was held in the LDA Office in Johar Town where, in the first phase, 321 affectees of LDA Avenue I were allotted alternative plots in LDA Avenue I. The LDA said in an official press release that these plots are fully developed with possession available, and they are ready for the construction of houses. These 321 lucky folks were selected through a transparent ballot. You can visit this page to have a look at the list and check if your plot is on it. While addressing the ceremony, the LDA Director General Mr Ahad Khan Cheema expressed his sincere gratitude to the affectees of LDA Avenue I for waiting so patiently to get possession of their plots.